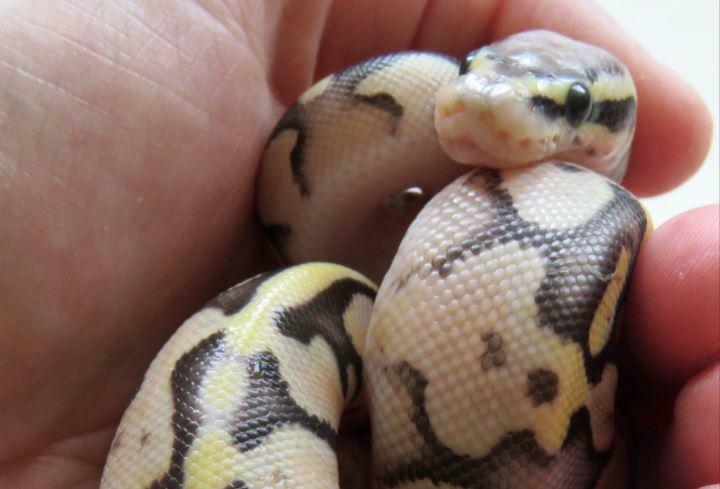 BERLIN -- A young man detained by police during a drunken argument in Germany was found to be carrying a baby python in his pants, and may be in trouble under animal welfare laws. Police in the southwestern city of Darmstadt said the 19-year-old was detained on Tuesday night after a loud argument with another man disturbed residents. They said he was searched and officers noticed "a significant bulge in his trousers." The man told officers that he had a snake in his pants, and pulled out a 14-inch baby king python. He was taken to a police cell to sober up, and the snake put in a box. Police said Wednesday they were looking for the reptile's owner and examining whether "the non-species-appropriate transport" violated animal protection laws.